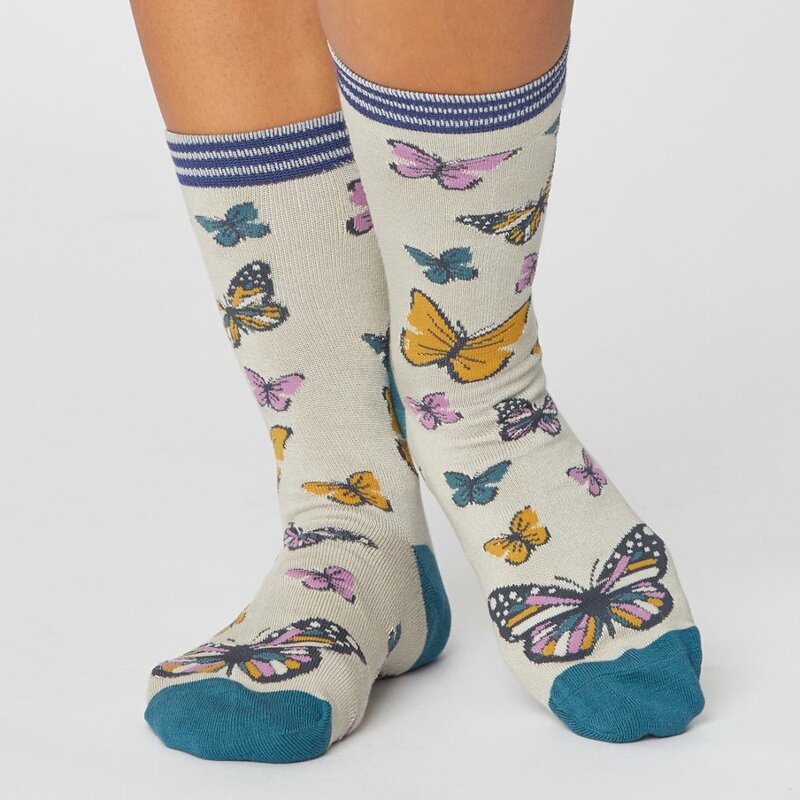 A sustainable sock gift set containing two pairs of butterfly patterned socks made from a sustainable blend of bamboo, GOTS certified organic cotton and recycled polyester. 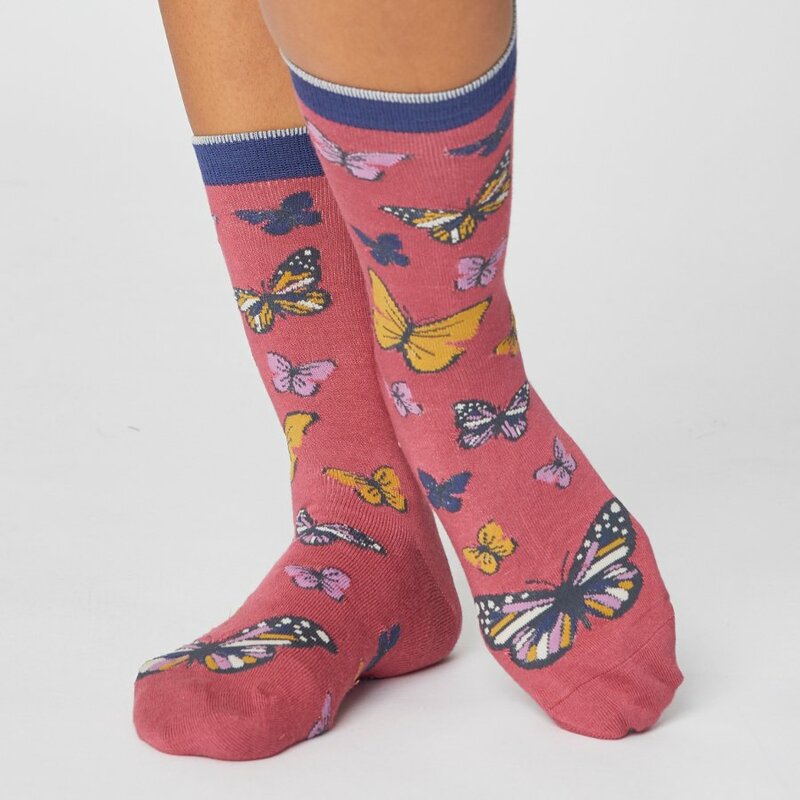 Superbly soft and breathable, these cute socks have anti-fungal and anti-bacterial properties so they care for your feet whilst making them look good. The two pairs of socks are presented in a matching sock pocket. The Thought Womens Butterly Socks in a Bag product ethics are indicated below. To learn more about these product ethics and to see related products, follow the links below. 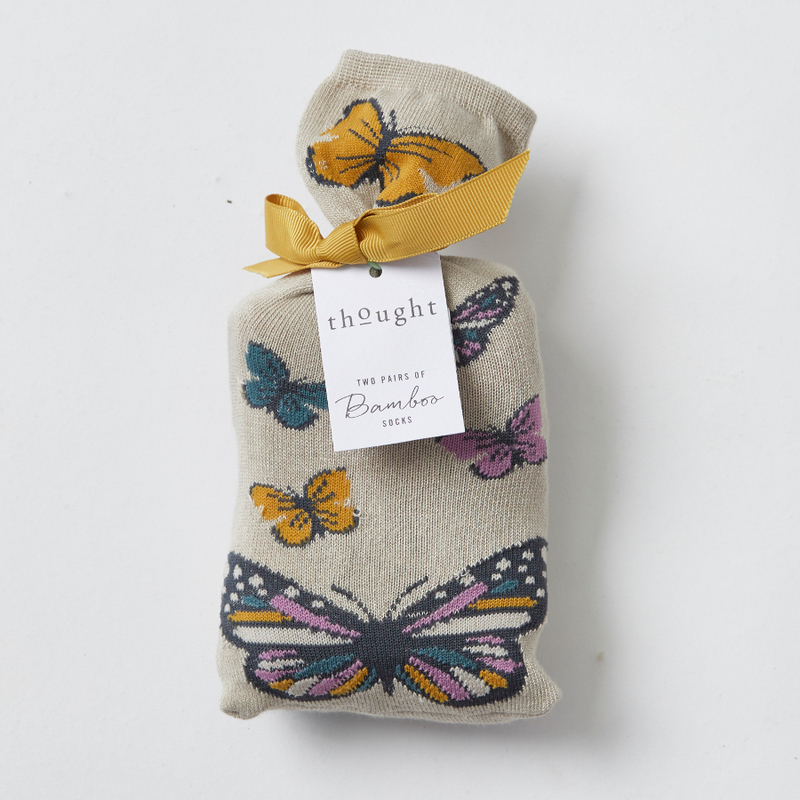 There are currently no questions to display about Thought Womens Butterly Socks in a Bag.